Moviewall - Movie Posters, Wallpapers & Trailers. 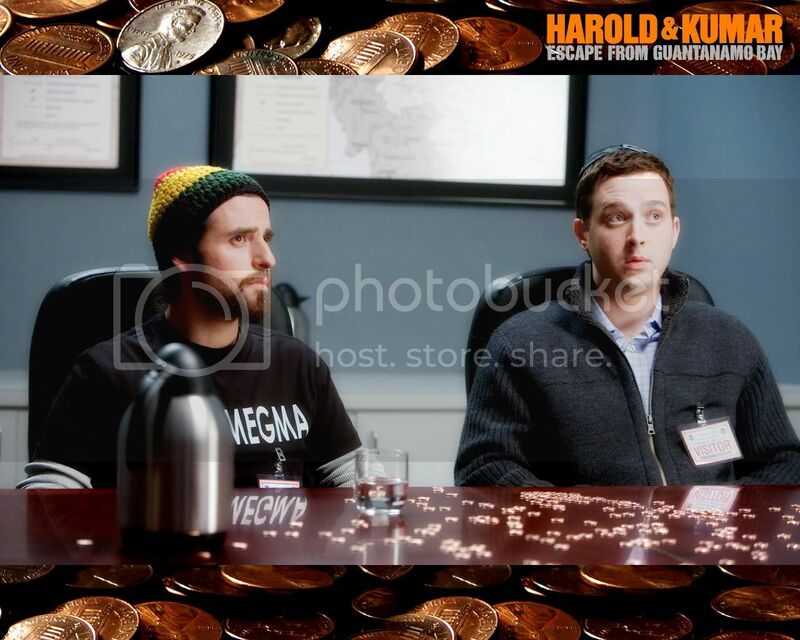 : Harold & Kumar Escape from Guantanamo Bay. Harold (John Cho) and Kumar (Kal Penn) are in their apartment after they’ve successfully completed their White Castle quest. It’s only an hour or two later, and the guys are preparing for an epic adventure to Amsterdam so that Harold can win the heart of his crush, Maria. At the airport, Kumar runs into his ex-girlfriend, Vanessa (Danneel Harris), and he’s shocked to discover she’s about to get married. Before they even get on the plane, Kumar threatens to botch the mission by mixing it up with airport security personnel, insisting on protesting a random search. Though they do make it onto the plane, Kumar eventually succeeds in getting them into more trouble than they bargained for. Unable to wait six hours to get to Amsterdam, Kumar takes a home-made “smokeless bong” into the airplane bathroom. Turbulence strikes, the bathroom door swings open, the bong’s mistaken for a bomb, and the guys are mistaken for terrorists. The plane is turned around and the guys are detained in Guantanamo Bay. 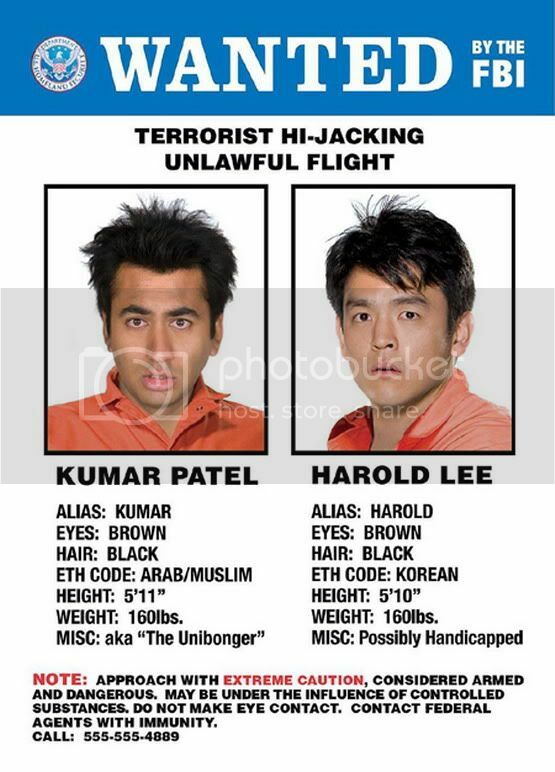 Movie Title: Harold & Kumar Escape from Guantanamo Bay. Other Titles: Grande Moca, Meu! 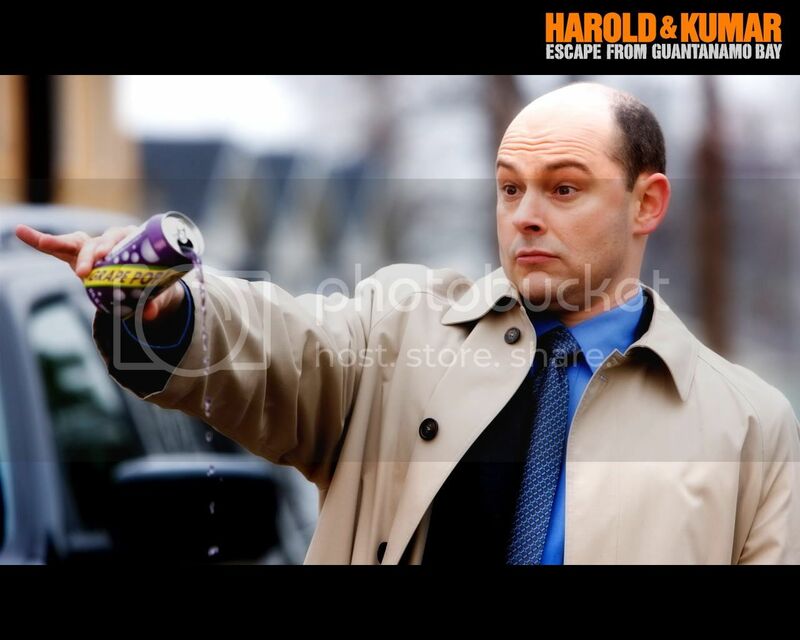 A Fuga (Portugal), Madrugada Muito Louca 2 (Brazil), Dos colgaos muy fumaos: Fuga de Guantánamo (Spain), Harold et Kumar s'évadent de Guantanamo (France), Harold & Kumar 2 - Flucht aus Guantanamo (Germany), Harold kai Kumar 2: Apodrasi apo to Guantanamo (Greece), Dos colgados muy fumados (Argentina), Dos tontos en fuga (Mexico). 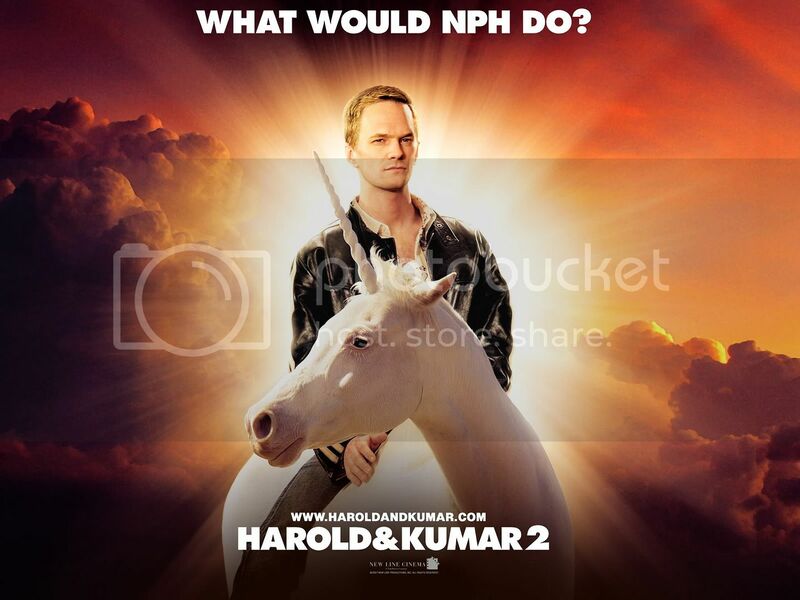 Starring: Jon Cho, Kal Penn, Neil Patrick Harris, Rob Cordry, Ed Helms, David Krumholtz. Director: Jon Hurwitz, Hayden Schlossberg. Writers: Jon Hurwitz, Hayden Schlossberg. Release Date: April 25th, 2008.